Accounting is a task that all businesses have to undertake. 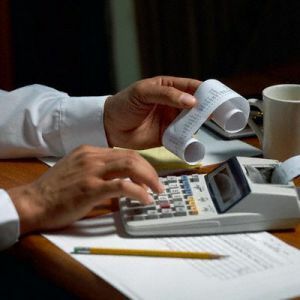 It is an vital practice to sort and record taxes, tax code updates and any outstanding invoices, but it need not be quite as stressful as it may sound, or as expensive as it used to be. Accounts software package from IRIS has enabled businesses to cut the high cost of physical filing systems and allowed complete visibility of financial records to accountants at any time. With a comparatively small up front expense, this software is easily implementable. If your business needs to be audited, would you be able to provide the adequate records? Using the appropriate digital accounting solution allows you to view all your financial records at the click of a mouse. Despite the scale of your business, the right accounting software can save you both time and money, allowing you to focus on obtaining new clients and increasing income. Your customer base is arguably the main reason for utilising an accounting software package. Without them you wouldn’t have a business, so it stands to reason that you want to make sure all their details are looked after. Financial software will allow you to monitor all in and outgoings, customer information, previous invoices and credits to their accounts. This means any time a query arises you will be able to answer it quickly and efficiently. Employee finances are clearly another record that requires monitoring and updating. A software solution allows for automatic syncing between employee time sheets and payroll software. This means that there aren’t ever any inconsistencies when it comes to pay day, keeping employees happy! This is particularly relevant if your business bills clients by the hour, when consistency in rates of pay is very important. Tax updates and VAT can all be systematically calculated and reported to an accountant with minimal hassle. Most accountancy software systems are also now hosted in the cloud. This reduces IT overheads for businesses hugely, as it removes the need for an in house server. Consequently, this means that no outsourced IT firm is vital for installation, setup or maintenance of the software. The software will always be updated to the latest version from the data centre where it is hosted by the software firm. Accessibility is no longer an issue as the system can be accessed from anywhere with an internet connection. Accounting is the sustenance of any business, monitoring the incomings and outgoings. If you are struggling to keep track of your finances or balance the books, using easy-to-use, adaptable accounting software is definitely advisable. You will make your accountants happy and easily oversee the total worth of your company.